Bootstrap also referred to as Twitter Bootstrap Framework comes with extensive and beautiful documentation for common HTML elements, dozens of custom HTML and CSS components, and awesome jQuery plugins. 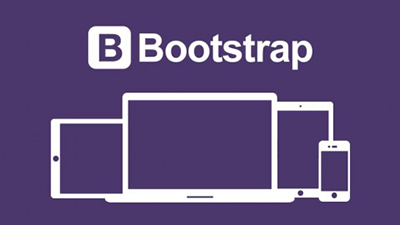 Bootstrap easily and efficiently scales your websites and applications with a single code base, from phones to tablets to desktops with CSS media queries. Bootstrap ships with vanilla CSS, but its source code utilizes the two most popular CSS preprocessors, Less and Sass. Millions of amazing sites across the web are being built with Bootstrap. Bootstrap framework is our front-end framework of choice because of greater browser compatibility and massive community support. Our development team are experts in several front-end frameworks, but Bootstrap is our preferred choice. You never want to miss out on a sale because of an incompatible browser or device. We want maximum exposure for our clients, and we deliver that by leveraging the Bootstrap framework over others. Back to Our Services Let’s Get Started – Fire it Up!